This May is National Walking Month, a whole month dedicated to encouraging people across the country to get on their feet. From a stroll along the South Coast, to trekking your way up the UK’s three highest peaks, we have a walk to suit just about everyone. Here are our top six. Join over 2,000 trekkers and take on the historic route that goes from Bath to Cheltenham. Take your pick from one of three distances, 100k, 50k or 25k! Starting in Poole Harbour, walk, jog or run the spectacular Jurassic coastline. This is a fun and rewarding challenge with full support and hospitality included, leaving you to focus on getting to the finish line. Take in some of England’s finest scenery as you make your way up Beachy Head, over the magnificent Seven Sisters and along the South Downs Way as historic Arundel comes into view. A great one to do as a team – follow England’s greatest river and head upstream from Putney Bridge past Hampton Court to Runnymede, then on past wonderful scenery all the way to Henley. Venture across the Capital taking in unrivalled views of the skyline. Setting out from Putney Bridge you’ll head East towards the City. Zig-zagging over 16 historic bridges, each with its own fascinating story. 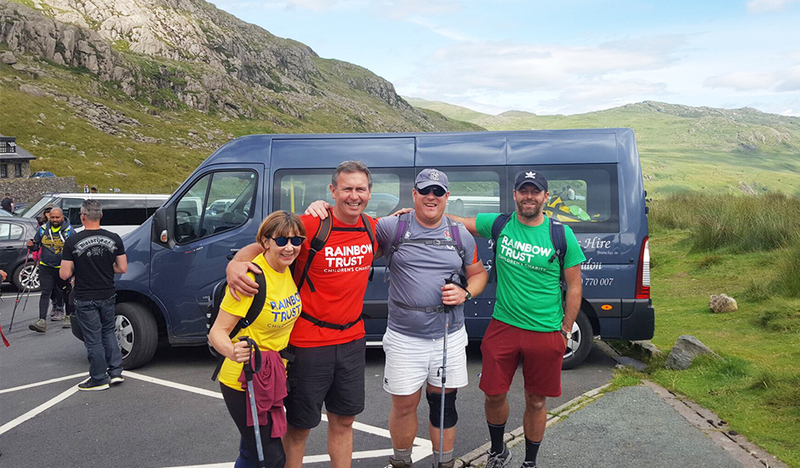 Conquer the UK’s three highest peaks - Ben Nevis in Scotland, Scafell Pike in the Lake District and Snowdon in Wales - all in the space of 24 hours.